Butterfly garden featuring delightful smiling butterflies and pretty little flowers Pre-Pasted WALLIES wallpaper cutouts ideal for children's rooms. Each pack contains an assortment of 25. Approx. 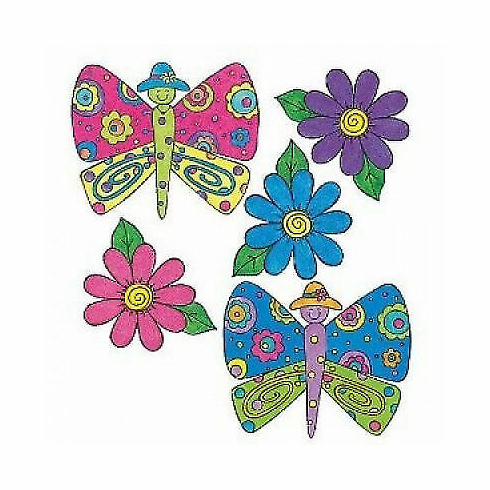 size 5 x 4 1/2" (butterflies) Flowers measure 4 x 3"